Yes, I admit it. I watch Outlander. It’s a guilty pleasure. Sue me. 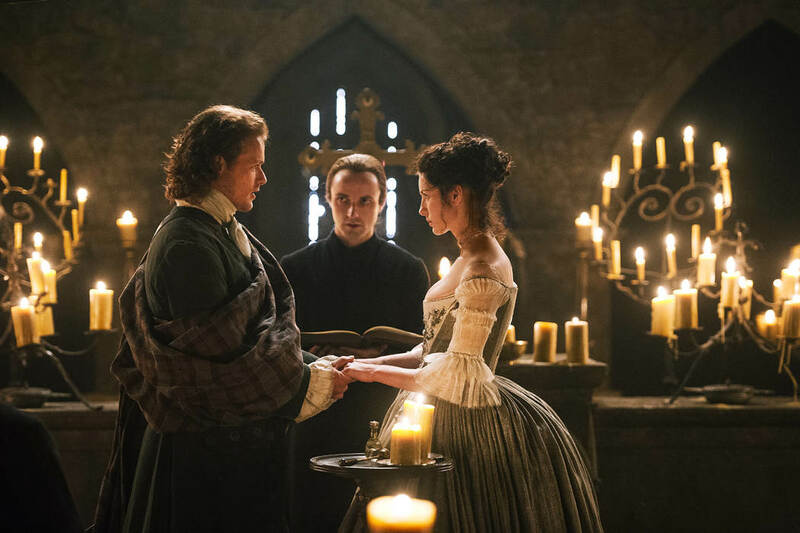 And Saturday, Claire and Jamie got married. Granted, I didn’t get to actually watch it until Monday. But it was worth the wait. Aside from all the sauciness, the wedding gown and ceremony were just gorgeous. 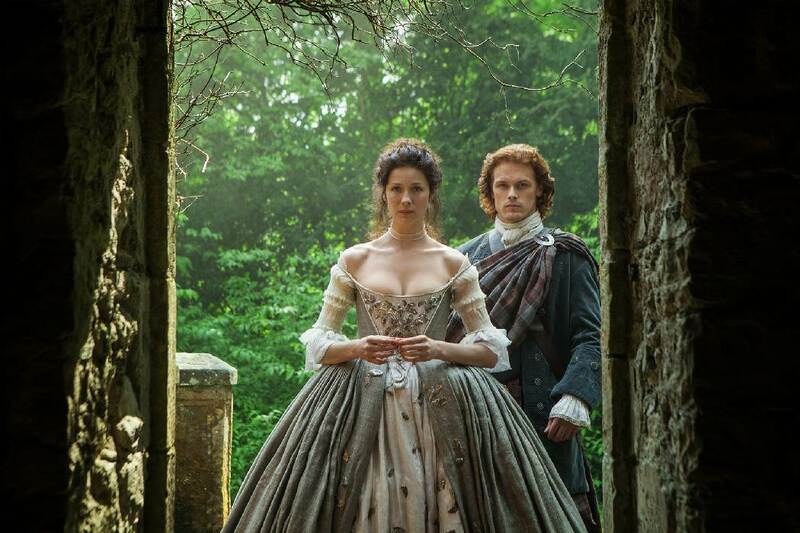 Terry Dresbach is the costume designer for Outlander, and she took great care in finding a balance between historical accuracy and contemporary style. The result will, I think, introduce new fabrics to our industry. For instance, the linen used reminds me of the Belgian linen made popular by Restoration Hardware’s upholstery line. Only a matter of time before it trickles into the world of wedding gown design considering how prominently rustic and industrial chic appear in wedding decor. But what made the linen so miraculous was the way Terry juxtaposed it by using Mica shavings and metallic thread to reflect the candlelight. 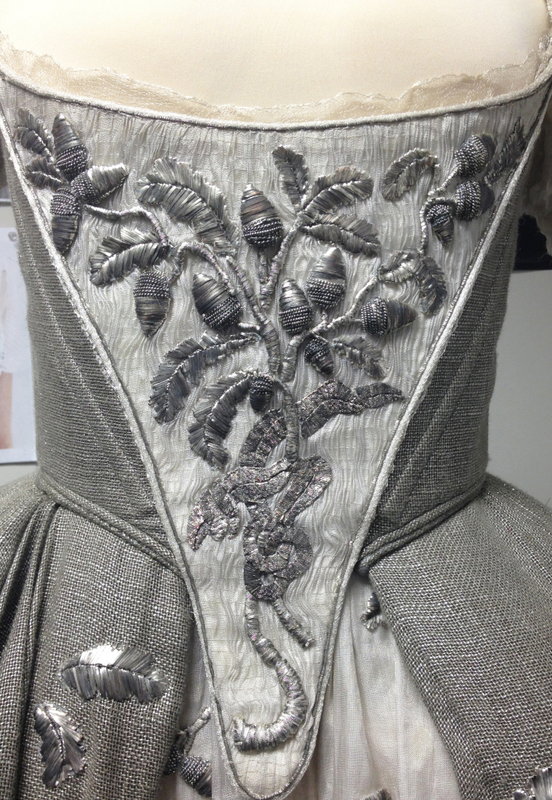 They actually shaved the mica themselves and adhered it to the fabric of the dress. It took weeks. Admittedly, I think the bust line is a bit too risque for a real bride, but the appeal of alternative fabrics and historical styling is undeniable. In any case, I’m looking forward to the next episode….